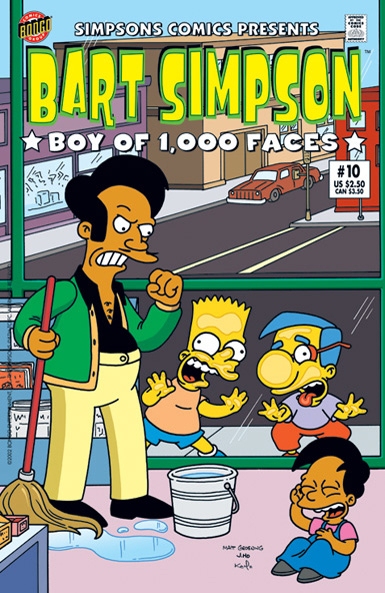 Bart Simpson Comics 10 was released in USA in February 2003. 1.4 Bart Simpson presents Li'l Itchy & Scratchy in: Of Mice and Menace! Bart Simpson presents Li'l Itchy & Scratchy in: Of Mice and Menace! Main article: Of Mice and Menace!